It is a holiday of national unity celebrated on June,12. 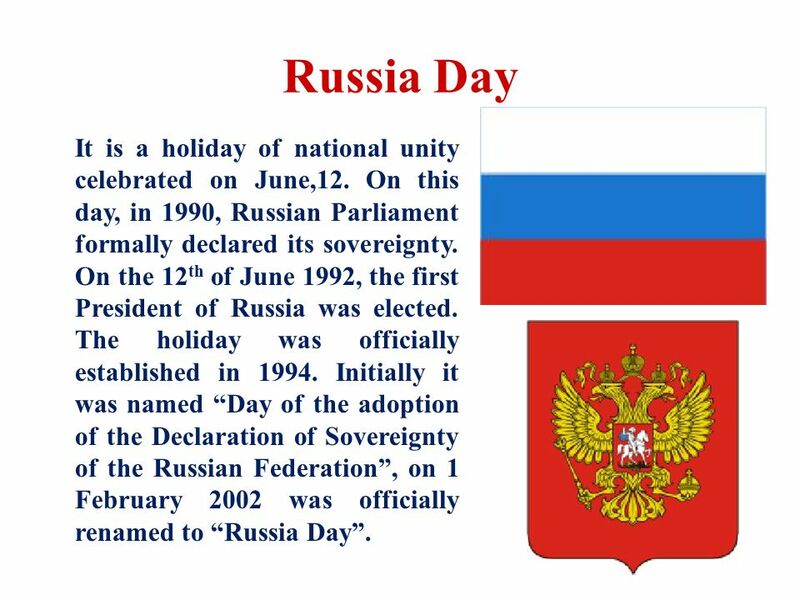 On this day, in 1990, Russian Parliament formally declared its sovereignty. On the 12th of June 1992, the first President of Russia was elected. The holiday was officially established in Initially it was named Day of the adoption of the Declaration of Sovereignty of the Russian Federation , on 1 February 2002 was officially renamed to Russia Day.